Grounded in core Islamic values and compliant with Islamic law, the hawala system provides a structure for remittance transfer across the worldwide Muslim community. Due to its facility and efficiency, it has remained in wide use among expatriates from this community. In the recent past, the hawala system has provided an effective vehicle for money laundering and terrorism financing, frustrating the efforts of law enforcement agencies. The international community has a clear interest in devising an effective regulatory framework to ensure the system’s accountability and transparency. This critical imperative requires an understanding of hawala’s important role in countries that lack conventional banking structures. A rogue insurgent group in Iraq is strapped for cash. It plans to bomb a strategic target in a matter of weeks, and money is the only obstacle. American military forces have ensured that local banking systems are impossible to navigate. Law enforcement agencies cast a watchful eye for the slightest evidence of suspicion. Not to fear, though. Thanks to an underground network of money dealers that spans the globe, funds are at arm’s length. The insurgent leader places a call to al-Qa’ida relatives in Pakistan, who pass word through a labyrinth of bank tellers in hiding. Within a few hours, $25,000 are available. There is no paper trail. The invisible banking system that is employed in this scenario, known as hawala, has offered the worldwide Muslim community an efficient means of monetary transfer for over 1,000 years. With origins in Islamic scripture, the system dates back to the Middle Ages, and was originally designed to enable Muslim traders to circumvent restrictions on lending in the Roman Empire. In recent times, hawala transactions have constituted an alternative remittance system, enabling expatriates from Muslim countries to deliver funds to family members. However, given strict regulations on the worldwide banking system in the aftermath of 9/11, transnational terrorist groups such as al-Qa’ida have found that this web of trust and honor suits their needs very well. Criminals, terrorist financiers, money launderers, and drug traffickers have all been able to accrue substantial benefits. 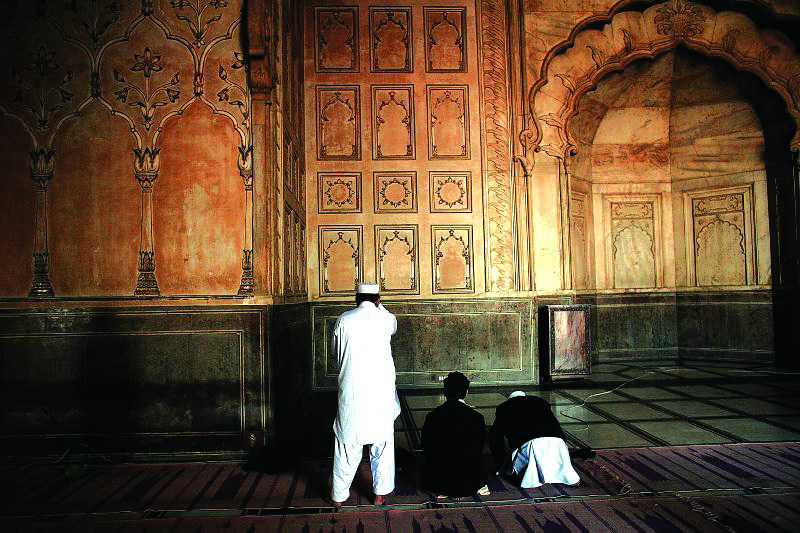 Unregulated and evasive on the Islamic street, the web of hawala continues to stymie the efforts of counterterrorism agencies. Adequate surveillance of the hawala system can provide a critical lever in an effective financial strategy against terrorism. Thus far, the lack of a concerted approach on the part of the global community has bred fertile ground for illicit transfers. Building a normative framework will require a keen understanding of hawala’s role in the Muslim community and its operational and structural characteristics. Until legal authorities learn which elements make hawala different from alternative remittance systems—for example, its Shari’a-compliant structure—a comprehensive and effective policy will remain elusive. While Hawala’s unique characteristics pose many challenges to law enforcement, a number of practical regulatory measures can still be devised. Hawala channels transmit billions of dollars of funds with impressive speed. According to Pakistani officials, the system is accountable for the influx of over seven billion dollars per year to Pakistan alone. As an alternative remittances system or informal value transfer system (IVTS), hawala has found support among a variety of sources, including large international companies and local community-based networks. They offer numerous services, employing couriers to deliver money and intermediaries to deliver “gifts” or payments in kind, making quick transfers across countries that come with no cash deliveries. 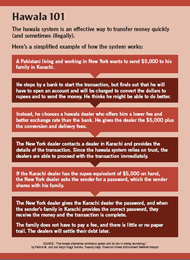 The hawala system has offered the equivalent of a Western Union to poor natives of the the Islamic world, following a model that is common in other countries: the Fei-Ch’ien in China, the Padala in the Philippines, the Hundi in India, the Hui Kuan in Hong Kong, and the Phei Kwan in Thailand are a few examples. 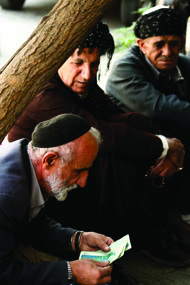 The settlement takes place between one hawaladar (the intermediary commander) and another (the intermediary receiver). Upon hearing from a customer who seeks a remittance transfer, the commander phones the final recipient with an identification number. The receiver awaits the man with the number, provides cash in local currency, and takes a premium of about two percent. He expects a payment in kind from his partner once funds or goods flow in the reverse direction, usually within a matter of minutes1. Herein lie the main elements of the system: trust, oral communication, and anonymity. There is complete secrecy in content, form, and procedure. Furthermore, with a coding system for identification, virtually no physical movement of cash, and a code of honor that quickly weeds out the disingenuous, it is no surprise that counterterrorism agencies see hawala as a black box. The very characteristics that account for hawala’s success have made it an impenetrable haven for illicit and criminal transactions. "The debtor, the creditor and the person to whom collection is referred, should be adult and sane, and no one should have coerced them, and they should not be feeble-minded, that is, those who squander their wealth. And it is also necessary that the debtor and the creditor are not bankrupt. Of course, if the debt is transferred to a person who is solvent, there is no harm even if the person assigning the transfer is bankrupt." The system is therefore grounded in the core Islamic values of justice and trust. The hawala system was first devised as a form of medieval commerce to allow transactions between South Asia and the Middle East. Muslim merchants used it to finance long-distance trade and facilitate value transfers without the risks of traveling with large sums of money. Operationally, the system was quite similar to its present form: The merchant would deposit funds in exchange for a hundi (bill or draft), a promissory note, and an effective bill of exchange that he would later cash at his arrival destination. The main guarantee for both parties was the relationship of trust that they had established, a relationship that found affirmation in their affiliation with the same religious-ethnic community. This system took root in many Islamic regions—including those of the Abbasids, the Ilkhanids, the Saldjuks, the Ottomans, and the Moghul Empire—and was used in the Indian sub-continent for centuries thereafter. Layering, whereby complex monetary maneuvers are employed to confuse authorities attractive to millions of legitimate customers every year—its expediency, anonymity, and lack of bureaucracy—make it a powerful alternative for terrorist organizations and criminals as well. Criminal activities and illicit fund transfers are not exclusive to the informal economic sector, however. To be sure, money laundering poses a common threat to the conventional banking system. However, there are substantial constraints on such activity: Local financial intelligence units are quick to check large transfers and note suspicious activity among regular channels. However, hawala transactions rely entirely on trust between partners and the guarantees of families and communities. Formidable to monitor, control, or regulate, they present a critical challenge to the law enforcement apparatus. Phone calls are the only form of interaction that can possibly be traced. In most cases, hawala dealers never keep standardized or easily retrievable data, and even if they do, great care is taken to prevent external access. There are many other challenges. Hawala activities often take place in secret alongside the operations of other businesses; both general and criminal hawala transactions are concealed amidst legitimate business activities. In fact, many hawaladars divide their time between regular business activities and hawala transfers, using a single bank account to minimize the operational costs of remittance transfers. Another widely used practice is the creation of benami, or false nominee, accounts. These accounts enable the transfer of money by way of an intermediary to the intended receiver. Nominal account holders often assist criminal or terrorist organizations, and shield their financial dealings by merging them with legitimate or unrelated business transactions. In a system with no oversight, the identities of many account holders may be entirely fictional. The twin revolutions in communications and technology have further compounded this problem. With nerve centers in Pakistan, India, the Gulf States, and the city of Dubai in particular, hawala now offers individuals the opportunity to reach street corners across the globe. Despite these difficulties, law enforcement agents are not completely helpless. Certain indicators can be used to identify operations centers and detect potential criminal activities, including signs of client-differentiated recordings and fee-collection systems, the absence of data on large monetary transactions, the use of various collection methods, the existence of frequent transfers to companies that are involved in different activities, and the evidence of activities that make little economic sense. Even though zeroing in on illicit hawala transactions is not impossible, they remain a boon to money launderers and terrorists. In the case of money laundering, the hawala system is conducive to each major stage of the process: (i) placement, at which point funds exit normal financial channels; (ii) layering, which refers to the complex monetary movements that aim to confuse authorities; and (iii) integration, at which point funds reenter the financial system in the form of a legitimate investment. Because they leave no paper trail, hawala transfers are particularly useful in the layering phase: The system’s legitimate ties with trade-intensive businesses like those of jewelry, import and export sectors, and travel and foreign exchange services, all provide a good cover for the critical interface between legal and illegal channels. Hawala provides an effective path for integration for the same reason. The implications for terrorist financing are similarly striking. For transnational terrorist groups like al-Qa’ida, hawala represents a significant asset in a highly diversified funding system. The five main funding sources for such groups are (1) donations from charities, (2) individual contributions—whether they are coerced or spontaneous, (3) state sponsorship, (4) profits from legitimate businesses, and (5) profits from criminal enterprises. The hawala system has bolstered these fundraising efforts by providing a secure channel for transfers between legitimate companies and criminal enterprises. Al-Qa’ida relied on this system even before 9/11. In 2000, over $110,000 was transferred from an exchange house in the United Arab Emirates (UAE) to a Citibank account in Florida, which was owned jointly by two of the hijackers, Mohamed Atta and Marwan Al-Shehhi. Just before the attacks, Atta and Al-Shehhi sent $15,000 to Bin Laden’s lieutenant in the UAE, who collected the money and fled. According to Douglas Farah, a journalist on finance and national security for The Washington Post, al-Qa’ida was found to have collected deposits of money and gold in Afghani banks and moved these assets to Karachi immediately following the attacks. With the help of the hawala system, the organization then transferred its funds to safe destinations in the Middle East, North Africa, and Asia. Al-Qa’ida is not the only terrorist group to rely consistently on the hawala system. Radical groups in Kashmir have also benefited; the series of bombings that shook India in 1993 were funded by hawala operators in the United Kingdom, Dubai, and India. The hawala system has also been implicated in such criminal activities as human trafficking and weapons smuggling. Its benefactors include corrupt politicians. In India, for instance, several major corruption scandals were financed through the hawala infrastructure. In a 1996 bribery scandal, authorities found records documenting the transfer of about $18 million to politicians from hawala brokers known as the Jain brothers; in a similar case in 1995, Sukh Ram, former Communications Minister of the Indian National Congress, was accused of and tried for corruption. Because the hawala system can be easily used to finance criminal and terrorist activities, governments around the world have been anxious to monitor and regulate it, and, in some cases, destroy it altogether. To what extent a practicable regulatory framework can take shape will be a decisive factor in counterterrorism strategy. Most countries tend to apply blanket regulatory regimes to all informal monetary transfers within their borders. With a few exceptions, however, laws are more permissive, as is currently the case with the hawala system. For instance, smaller hawala dealers are often given more freedom of action in comparison to their more established counterparts. Among countries that regulate informal remittance systems, and the hawala system in particular, the regulatory policies vary substantially, with absolute prohibition on one end—hawala transactions are illegal—and more conciliatory postures on the other—considered parts of the “gray” economy, value transfer systems are de facto tolerated. A review of registration procedures for hawaladars alone demonstrates significant differences in the approach of host countries. In particular, major discrepancies exist between the laws of hawala-recipient and hawala-remitting countries, given the latter’s liberal foreign exchange policies, developed financial and banking sectors, and restrictive policies. In light of these contrasts, how can the international community arrive at a concerted policy approach? Stakeholder countries are currently debating the costs and benefits of various regulatory measures. The World Bank has laid out the following options for hawala regulation: (1) pursuing a policy of non-regulation, relying solely on self-regulation among operators; (2) establishing special regulatory standards for the informal sector; and (3-) extending the regulations of the formal banking sector to IVTSs with the creation of external supervisory bodies. It does not prefer a policy of “zero-tolerance,” although alternative remittances have been de jure illegal in India and Japan. Until 1999, in fact, India identified hawala as a criminal offense by decree of the Foreign Exchange Regulation Act (FERA), punishable with imprisonment for up to seven years and a fine of up to five times the amount that was exchanged in the illegal transaction. In 2000, the Foreign Exchange Management Act took the place of FERA, making hawala only a civil offense and substantially restricting search and seizure powers. Complete prohibition would raise several concerns. First, such a measure is impracticable. In some developing countries with ineffective or wholly absent banking infrastructures, these informal transfer systems constitute the only alternative. According to the “Abu Dhabi Statement on Hawala”, the hawala system fills a void that is created when the banking sector is weak. After all, hawala thrives on restrictive economic policies, distortions in payment schemes, and weak foreign exchange systems. Moreover, many claim that hawala empowers marginalized groups with no access to the formal economy. It reaches geographically remote areas that are otherwise left outside the circuits of conventional banking. Hawaladars often belong to the same ethnic community as that of the sender and the receiver, thereby promoting an environment of greater proximity, flexibility, and trust that is lacking among commercial options. 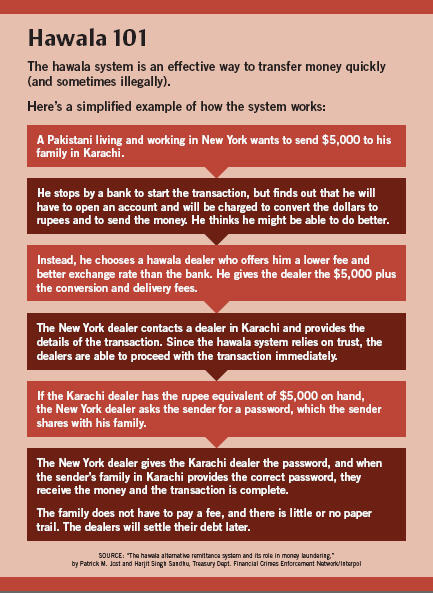 To bring hawala transactions to a complete end could compel dealers to switch to even less traceable alternatives. For example, commodity-based value transfers and other sophisticated schemes could fill the void. To be sure, a loose approach would be even more detrimental. Unregulated foreign exchange transactions can negatively impact the balance between national and foreign currencies, distorting investment flux as a result. Hawala transactions are made off the books and are never taxed; the lack of data on the flow of money frustrates public efforts to devise and implement sound macroeconomic policies. Finally, given strong and persistent bonds between international criminals, terrorist organizations, and the hawala system, tighter scrutiny is a security imperative for any effective, sustainable counterterrorism strategy. If prohibition, non-regulation, and unofficial regulation all seem problematic, external regulation may offer the best alternative. An effective strategy will remain elusive unless it is designed to accord well with hawala’s tacit rules. The hawala system, after all, is not entirely “anarchic.” An internal code of conduct, based on values of integrity, trust, and community, has played an important role in regulating the system for years. Cheating among hawaladars connotes a “loss of honor”—an “economic death sentence”—that can often be accompanied by physical violence. Though it would have a minimal effect, the first step in an effective regulatory framework would be to promote existing internal mechanisms, increasing the coordination between internal self-regulation committees and external regulatory bodies. By creating a sense of ownership for hawala constituents, such measures can foster collaboration between authorities and locals, much needed in the fight against rogue activity. In addition to facilitating these internal efforts, a sound strategy will require well-defined rules of conduct and independent monitoring mechanisms. Presented in a number of international declarations, the minimum regulation standard appears to be less restrictive than the rules that are imposed on conventional banks; it nonetheless represents a good start. The Financial Action Task Force (FATF)’s Special Recommendation Six, released in October of 2002, lays out several critical conditions for a future agreement: operator registration, compliance with public investigative efforts, and sanctions and suspensions for illicit activity. Requirements on hawaladar licensing and registration can be transformative. A degree of flexibility may be necessary at first, especially if countries lack the capacity to enforce requirements. Operators may simply register with a local authority or undergo a more formal licensing process. Regardless, subjecting all operators to audits will lead many to apply a greater level of care in their activities. In instances where a role in illicit affairs can be proven, license suspension or revocation may be in order. As proposed by the FATF, hawaladars must comply with 40 internationally accepted recommendations on money laundering if they wish to maintain their licenses2. Moreover, operators must be in place to cooperate with financial intelligence units and report suspicious transactions. Local governments should conduct awareness campaigns to educate hawaladars on sound methods of detecting and reporting suspicious activity. As a source of deterrence, appropriate sanctions should be warranted in instances of non-cooperation. The Asia Pacific Group on Money Laundering reiterates several FATF recommendations and proposes a few additional measures. For example, the “know your customer” clause mandates that operators register the identity of their customers—effectively a prohibition against anonymous transactions. According to the resolution, hawala operators must retain identity and transaction records for a minimum of five years. Numerous countries appear to be moving in this direction. In 2003, the Central Bank of the UAE decided to regulate hawaladar registration, adopting a normative framework for licensing and supervision. After soliciting applications for a free hawaladar certificate, bank officials now interview applicants to assess character and test knowledge on UAE money laundering and terrorism financing laws. Upon completion of this process, successful applicants receive a certificate and are expected to submit regular reports on their activities. The UAE has devised a domestic regulatory framework to increase the hawala’s accountability and transparency without suffocating the system. If it is emulated in other countries, a framework of this nature could play a fundamental role in diminishing the risks that are inherent to informal economic mechanisms. At the same time, international efforts must complement one another. As countries seek to take a more active role in regulating hawala and similar systems, it is important that they work in tandem. The existence of legal loopholes and unregulated areas may facilitate transfers between countries. Consistent and adaptable normative hawala policies are short-term imperatives, but countries must not lose sight of the political and economic deficiencies that have helped entrench hawala as a channel of choice for so many Muslims. As noted earlier, many of the countries in which it has flourished tend to suffer from weak financial infrastructures and judicial systems. Unless such structural limitations receive the attention they deserve, the hawala system will continue to elude regulators in the long-term. 2 “The 40 Recommendations provide a complete set of counter-measures against money laundering covering the criminal justice system and law enforcement, the financial system and its regulation, and international co-operation. Initially developed in 1990, the Recommendations were revised for the first time in 1996 to take into account changes in money laundering trends and to anticipate potential future threats. More recently, the FATF has completed a thorough review and update of the 40 Recommendations (2003).” Quote taken from FATF-GAFI, “The 40 Recommendations,” available at http://www.fatf-gafi.org/document/28/0,2340,en_32250379_32236930_33658140_1_1_1_1,00.html (2008). Benedetta Berti is a Ph.D. Candidate in International Relations at the Fletcher School of Law and Diplomacy. A hawker in the main bazaar of Sanandaj, Kurdistan, counts his earnings as other hawkers look on. Photo by Hamed Masoumi, used under Creative Commons by Attribution License. Photo by Francisco G. Hamm, used under Creative Commons License. Photo by Michal Svec, used under Creative Commons License.